For some 250 years, responsible investing has been a key means of aligning our influence with our values. The Investor Relations function is squarely at the nexus between the strategies and performance of the company and the primary leverage point for stakeholder expression of sustainability goals. What does this mean for the Investor Relations professional? 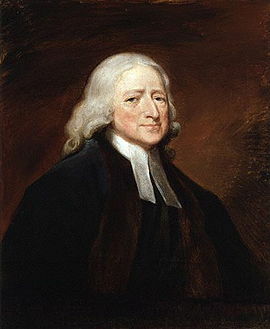 Around the same time (between 1744 and 1760), John Wesley, an English preacher and founder of the Methodist Church, delivered his sermon entitled The Use of Money. You may have heard the saying, “Make all you can, save all you can, give all you can.” That is John Wesley, paraphrased. What it doesn’t capture, however, are the boundaries he drew around the first of his three rules: “gain all you can.” Wesley advised his followers to gain but without hurt to body, mind, or soul, of either ourselves or our neighbours. He spoke of unhealthy work environments, cheating, lying, anti-competitive behaviour, the sale of anything that may impair health, and what he called “sinful trade”. He advocated honest industry, diligence, continuous improvement, and best practice. Religious institutions have been at the forefront of socially responsible investing, or SRI, ever since. In the last five decades, we have seen a steady rise in interest in SRI. [For a brief history of SRI, see these entries on Wikipedia and About.com.] We know environmental, social, and governance (or ESG) issues are not new to investors. So what has changed? Read on! As I discussed in an earlier post, social media have enabled a shift in information and communications flow from a traditional mass-media “push” model, in which a company may craft and deliver a message to its stakeholders (often a different message for different stakeholders), to a “pull” model, in which company and stakeholders are on a more even footing, and what is being said by one may be heard by all. In this “pull” model, stakeholders themselves define their own information requirements and actively seek out the sources, connections, and networks that will meet them. While this might seem scary to some, it also represents one of the great opportunities that social media offers: collaboration. If you view each one of these voices not as a threat but as an opportunity to engage and to learn, you can leverage social media to add value to your business. I won’t reiterate all the debate highlights (you can check the Twitter feed, using the hashtag #CSRdebate, for the play-by-play), but I would like to consider the anti-CSR case in more detail. Specifically, I found the arguments made by Professor Aneel Karnani and Chrystia Freeland disingenuous; let me explain why. Read on! In the early 1400s, Johannes Gutenberg invented a mechanical movable-type printing process that enabled the first mass production of books. Within decades, the technology had spread across Europe, and the growing availability and affordability of the printed word revolutionized society. The flow of information and ideas fuelled the Reformation and the French Revolution, broke down strongholds of power, whether political or religious, and contributed to the democratization not only of societies but of knowledge itself. Over time, we’ve witnessed the emergence of mass media, designed and used to broadcast information from and by a small group to a large one. This communications audience is, essentially, a mass society of undifferentiated individuals. It receives information. However, social media turns a receptive mass society into a creative public. Information doesn’t just flow from a small group to a large one, and information creation isn’t just the purview of the powerful elite anymore. The trickling democratization of knowledge that began with the Gutenberg press, social media is making a flood.